Like a movie sequel, the follow-up tries to be as good as, if not better than the original. Sometimes the same lead actor may not be the star attraction second time around but still the storyline continues and the film carries on in its own right. A similar happening occurred recently with the Fleet Car Honda Coast-to-Coast Challenge where the Civic car was replaced by the CR-V Sports Utility for the fuel economy run. Again, the new 1.6 i-DTEC diesel was put to the test in the cross-Border drive taking in the two Titanic Centres in Belfast and Cobh. On this occasion, the CR-V also recorded an impressive result. After covering almost 900 kilometres of ‘normal’ driving on motorway and urban routes, the 1.6 i-DTEC in the CR-V used on average 4.9L/100 km equating to 57.7 mpg. On the Dublin-Belfast-Dublin run alone, the 64.2 mpg (4.4 L/100) achieved, comfortably topped the Honda factory figures of 4.5L/100 or 62 mpg. With the company car driver becoming a more user chooser in the Irish marketplace, Universal Honda (the Honda car distributors for Ireland) was keen to put the new 1.6 litre i-DTEC diesel fitted to the CR-V Sports Utility to the test in real life circumstances and further prove the drivetrain’s excellent fuel economy as demonstrated with the Civic with the same 120 bhp/300 Nm engine that produces only 119/km C02 (Tax Band A4 €200). The same two crews were retained for this sequel but the driving routes were reversed in that Jarlath Sweeney from Fleet Car accompanied by Universal Honda’s Emmet Kavanagh headed south to visit the Titanic Experience in Cobh while Cathal Doyle (Fleet Car & The Sun) had Honda’s Ciaran Cullen alongside to venture across the Border to the Titanic Belfast Centre. 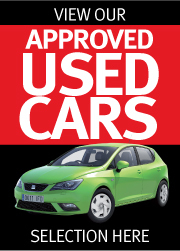 Both cars of similar SE specification departed Honda Ireland’s headquarters at 9.30 am on Tuesday 18 February last. At the end of the North-South Coast-to-Coast journey the distance covered was 421 and 465 kilometres respectively – average speed between the two cars was 92 kp/h. En route various stops were made at the Applegreen and Topaz Motorway Services at Castlebellingham, County Louth and Cashel, County Tipperary to stream ongoing progress of the run on the Social Media (Twitter and Facebook). Both CR-Vs then finally met up at the Junction 14 (Mayfield) Services at Monasterevin, County Kildare to go through the facts and figures to determine the averages. Jarlath Sweeeny, Editor, Fleet Car Magazine was impressed with the smooth drive of the CR-V with the new 1.6 i-DTEC diesel which is now offered alongside the standard 2.2 litre i-DTEC version. “For the corporate sector, the new CR-V with the 1.6 diesel is most suitable, practical too but most importantly, most economical. With Total Cost of Ownership now the vital component of running a company car, the CR-V with the 1.6 i-DTEC is it! 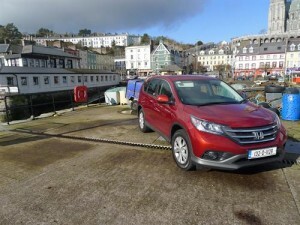 Honda CR-V 1.6 IDTEC ES?